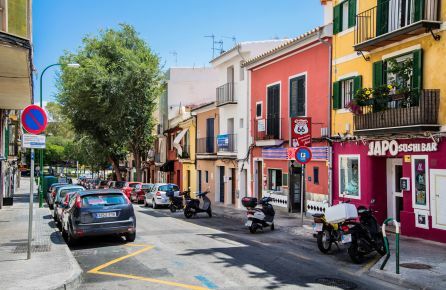 Low built houses and a bohemian feeling characterize the popular area of Santa Catalina. 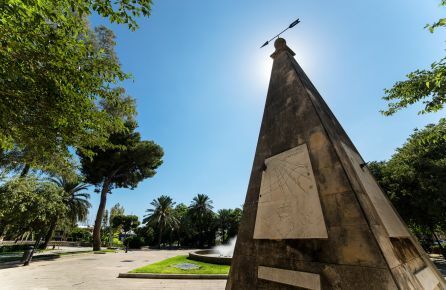 Here you are close to the centre of Palma and the shopping street Jaime III, as well as the night clubs and luxurious yachts in Paseo Marítimo. 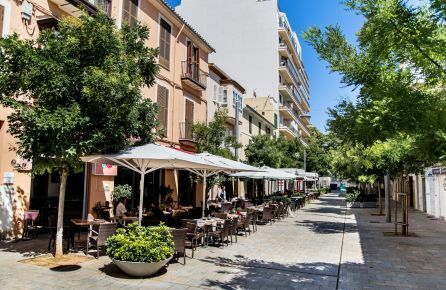 On the well known Calle Fábrica you will find many restaurants, from easy going tapas places to exclusive a la carte. 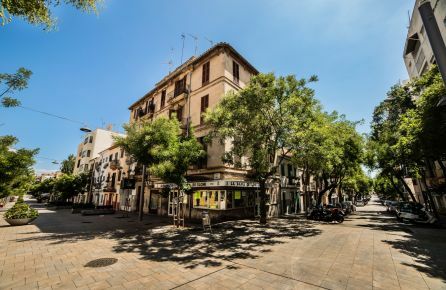 Also Calle Cotoner and Calle San Magin offer a lot of restaurants and bars in different styles, from typical Mallorquin to trendy and minimalistic. The low buildings that are typical for the area gives a green, luminous and open feel - Santa Catalina is like a little village in the city. The food market, Mercat de Santa Catalina, is very popular. Here you can find daily fresh fruit, vegetables, fish and spices from Mallorca and mainland Spain. You can also find readymade dishes to bring with you, or enjoy the food on a stool by the bar. If it’s really crowded you can also just step outside and enjoy your bite on the sidewalk- Spanish style. During the day time, the rhythm in Santa Catalina is calm and you can really feel the artistic atmosphere. You will find designer studios, interior design shops, clothing boutiques and yoga studios next to bars, nightclubs, bakeries and massage parlours. At night the area really comes to life and the busiest streets become crowded with people looking for great restaurants and bars. If you like the bohemian vibe and living where the action is, Santa Catalina is the place to be. The perfect neighbourhood for a night out! 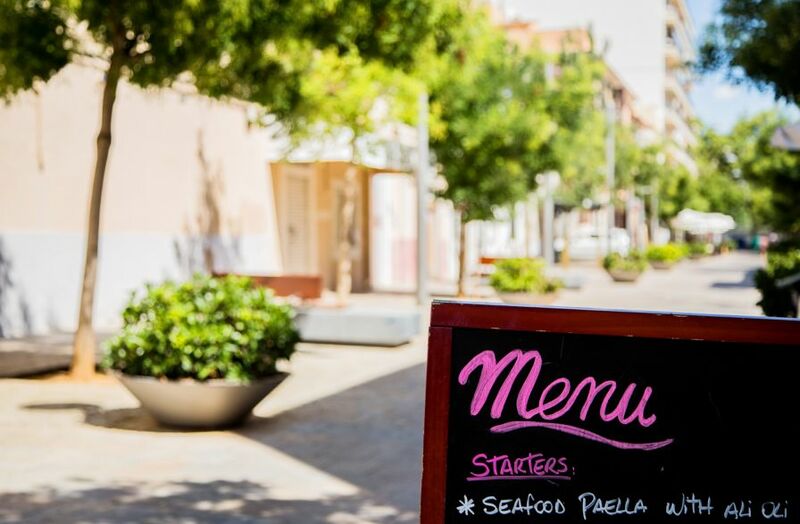 Here you will find a vast selection and variety of restaurants, bars and cafés. The cosy feeling in the Catalina market with heaps of fresh produce; it’s such a nice place to have a lunch break.